A man from Harrison Township has been charged in connection with a homicide and non-fatal shooting in Detroit, according to Wayne County Prosecutor Kym Worthy. Mark Siecinski, 56, of Clarkston and a 63-year-old Farmington Hills man went to 55-year-old David Erwin Unger's business in the 11800 block of Freud in Detroit. A man from Harrison Township has been charged in connection with a homicide and non-fatal shooting in Detroit, according to Wayne County Prosecutor Kym Worthy. 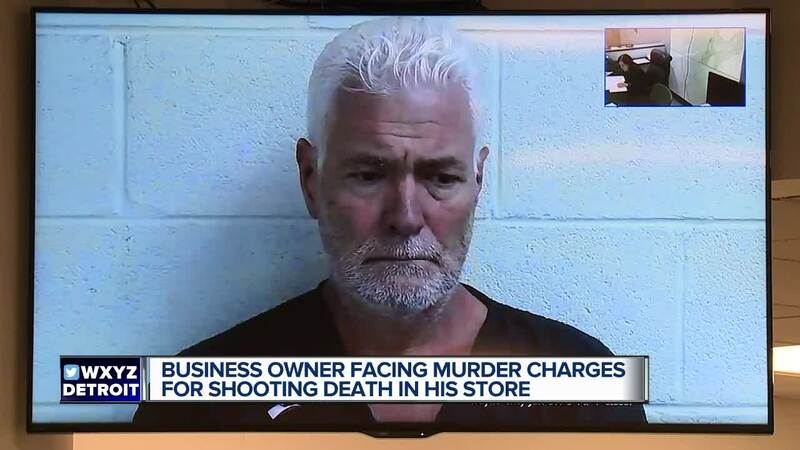 Mark Siecinski, 56, of Clarkston and a 63-year-old Farmington Hills man went to 55-year-old David Erwin Unger's business in the 11800 block of Freud in Detroit. Officials say the men went to the business to appraise and secure the property since Unger's property was under the control of the courts for debts that were owed. It is alleged that Unger, armed with a handgun, saw the men and fatally shot Siecinski multiple times. The 63-year-old man was shot and survived. Unger has been charged with First Degree Murder, Assault with Intent to Murder and two counts of Felony Firearm. Unger is being held without bond. If convicted, he could face life in prison. Unger was arraigned Wednesday morning.